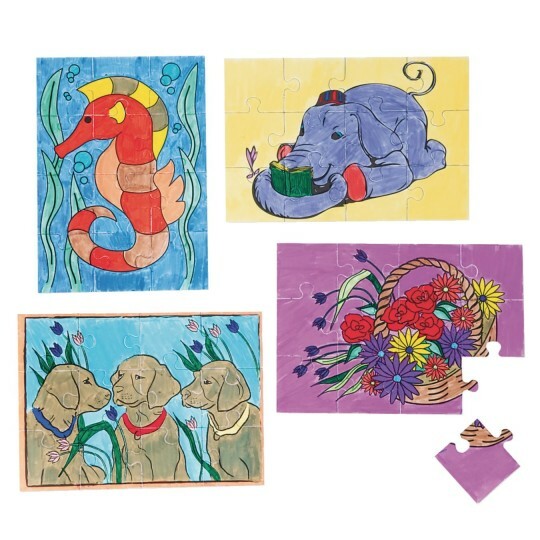 Inspire creative playtime with large-piece puzzles that kids color themselves! 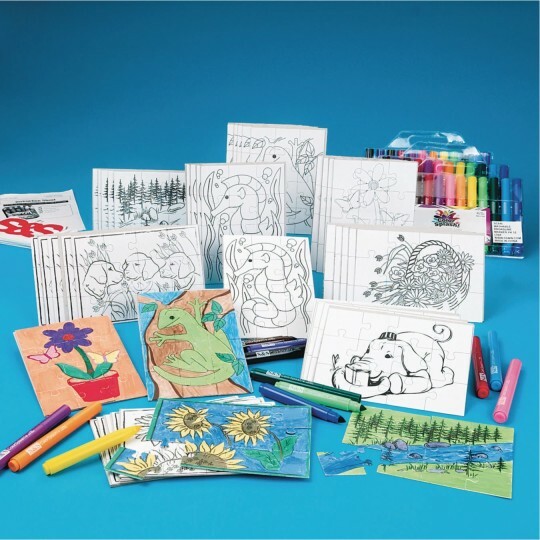 Pack of 48 includes 6 each of 8 styles: puppies, sunflower, flower basket, stream with trees, seahorse, elephant, gecko and butterflies. Markers included. Puzzles are 5" x 7" each.